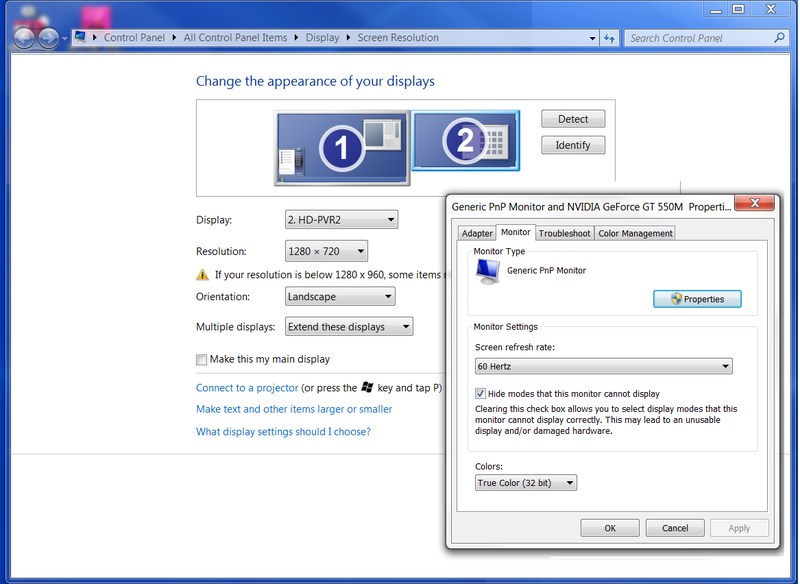 Note: in either mode, you still cannot record HDMI video protected with HDCP. Note: Make sure you have installed Hauppauge Capture before updating the firmware. And plug in BOTH the red and black USB connections to assure adequate power during the firmware update. 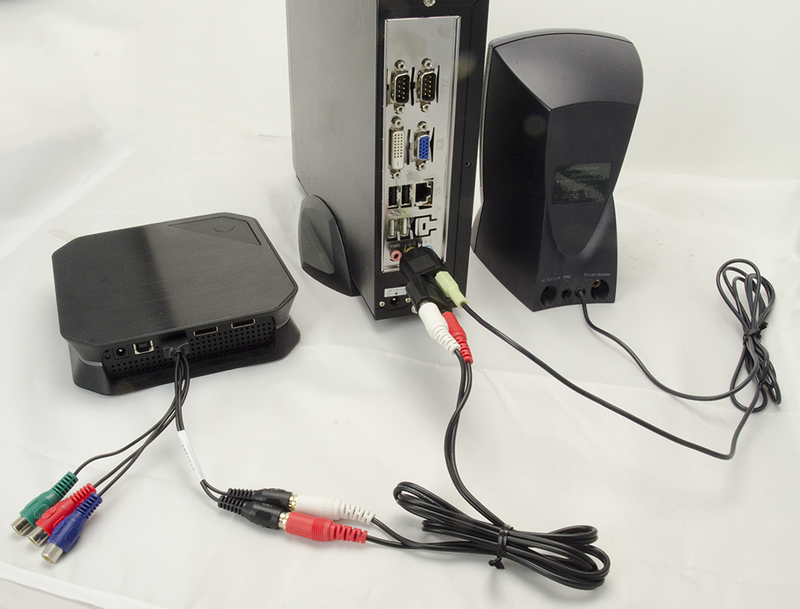 Connecting the HD PVR Rocket to your PC: simply connect the Rocket between your game console and your HD TV set. 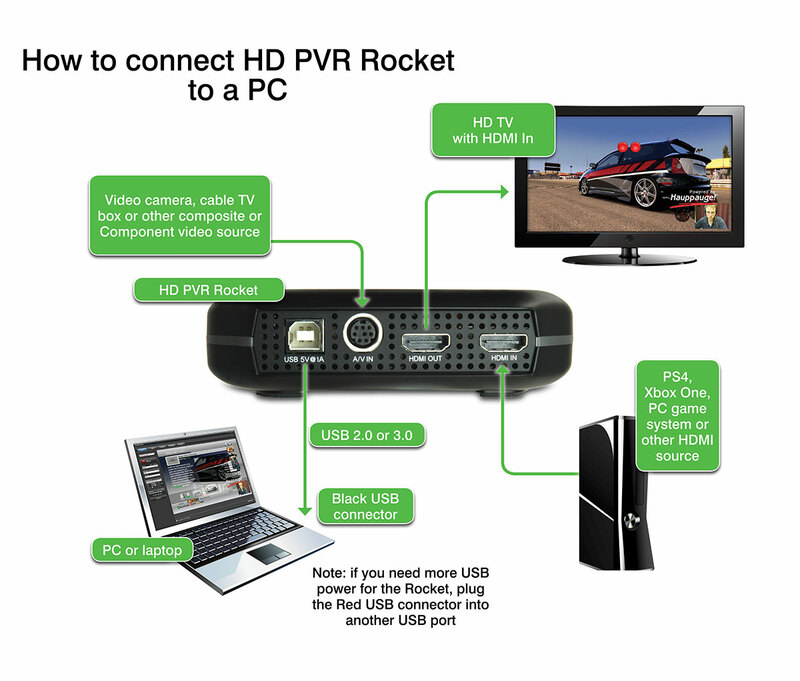 The HD PVR Rocket is a high definition H.264 portable video recorder. The Rocket can record HD video either stand alone (to a USB thumb drive) or connected to a Windows PC. The Rocket can receive video from either HDMI or compenent video and will record up to 1080p30 onto an attached USB thumb drive. The Rocket is USB bus powered and can be powered by a USB port on your Xbox or Playstation game system. The Rocket has a built-in audio mixer which will take microphone audio and mix it with game audio so you can add game commentary to your game play recordings. 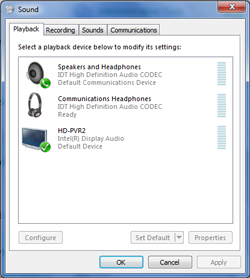 When PC connected, settings such as the video and audio source is 'sticky' and will be used when standalone. I made a stand alone recording and I found the recording was broken into two files. What did I do wrong? You probably used a FAT32 formatted USB thumb drive. 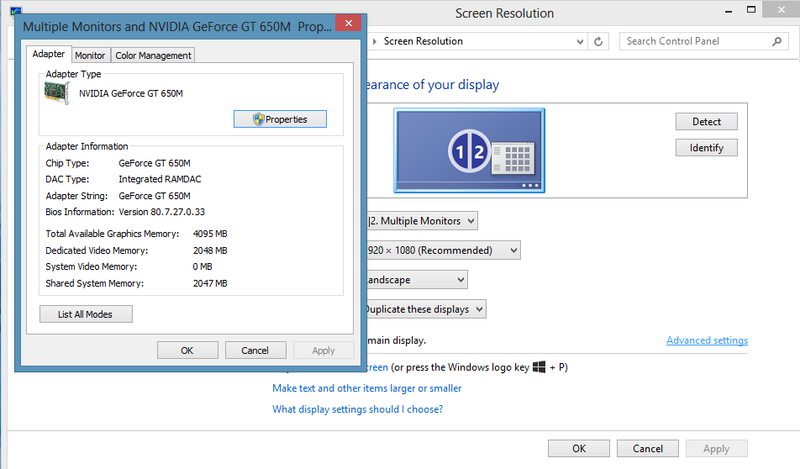 If you format your thum drives as NTFS, you can make one recording as large as your thumb drive. Can I record stand alone to an SSD drive? You can plug an SSD drive into the Rocket's USB port, but the SSD drive needs to be 'self powered'. The Rocket on its own does not have enough power for the SSD. 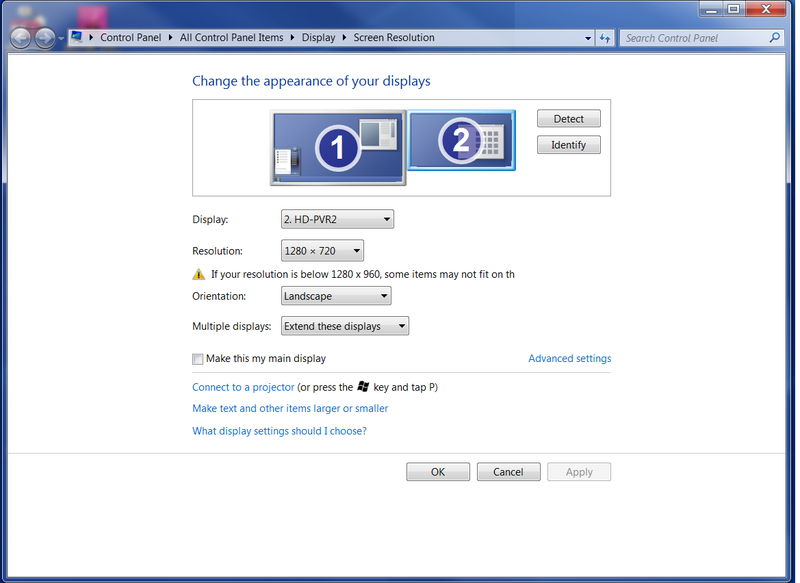 You can also try to record TV shows from HDMI, but some shows have HDCP copy protection and cannot be recorded. No, the rocket is powered over USB. 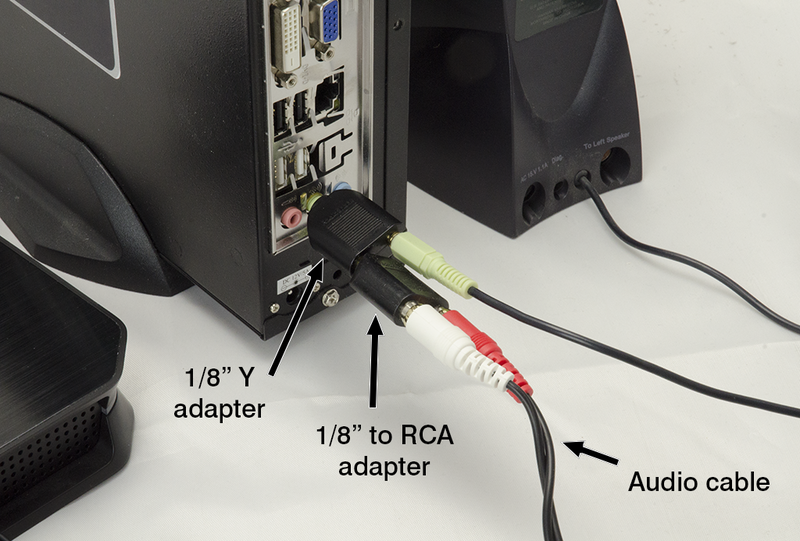 You can use a USB port on either your PC or game console. If you are trying to record a source without a USB port, you can use a standard USB power adapter as long as it is rated at 5v 1amp (minimum). Yes. 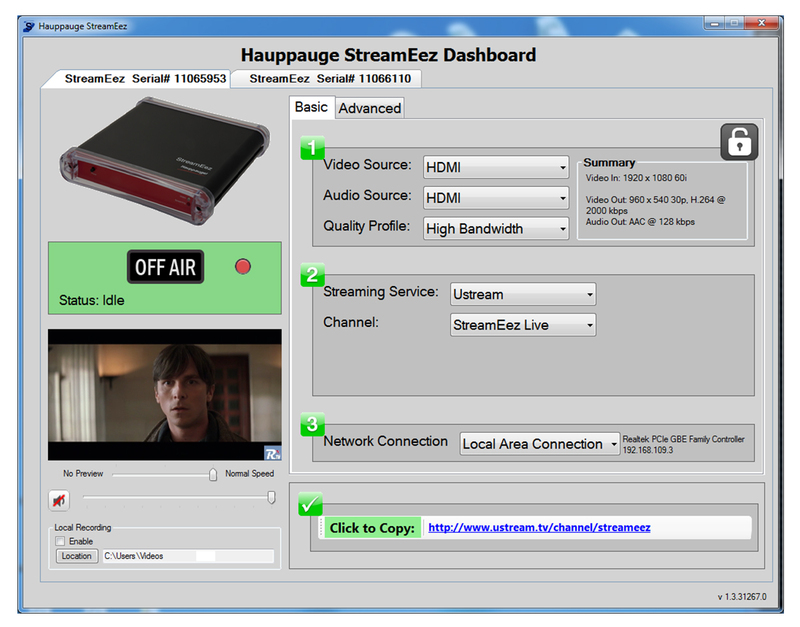 The latest version of Hauppauge Capture includes StreamEez, for streaming with the Rocket to Twitch and YouTube. First: check the video connections. 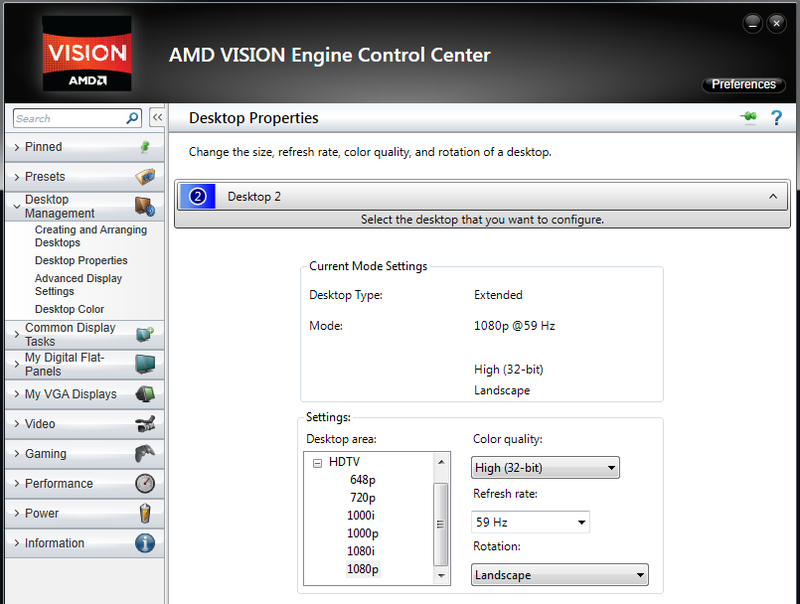 If you are recording from HDMI, make sure that your video source does not have HDCP copy protection. 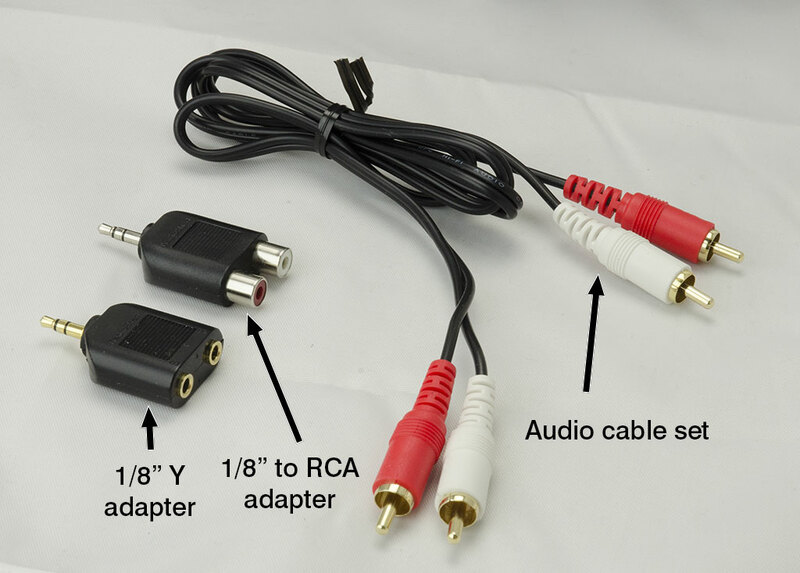 If you are using Composite video, check to make sure the Yellow composite video connection is going to the Blue Component video connector. 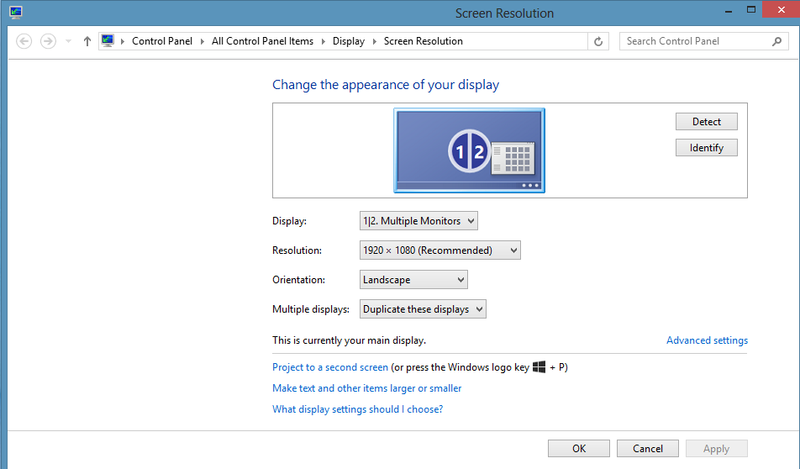 If you are recording from a PC, make sure the HDMI output is enabled (normally you have to hit the F4 key to turn on the HDMI port. Next, if you are using Yellow composite video, update your Rocket to the latest firmware since not all Rocket firmware supported Composite video (but the latest firmware added this support). 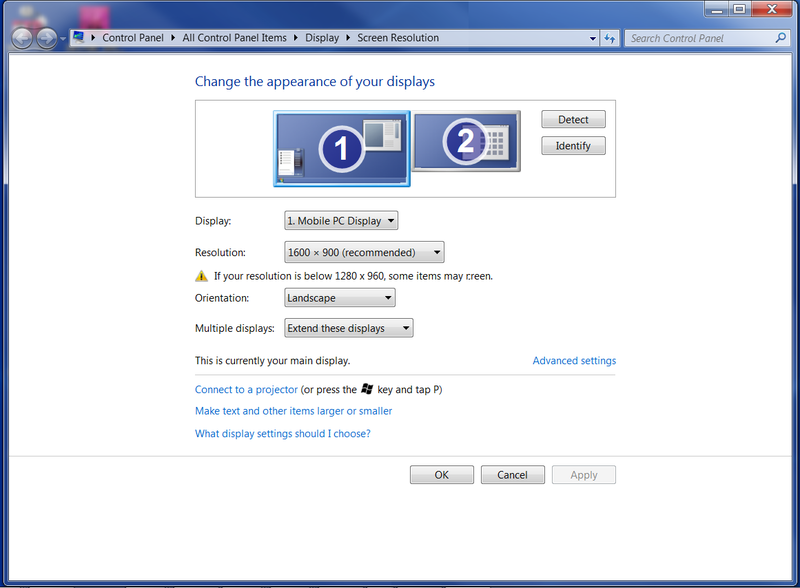 In all cases, flashing the firmware can sometimes correct video issues as well. If you find that the audio is too low after recording in standalone mode, download and install the Hauppauge Capture application. 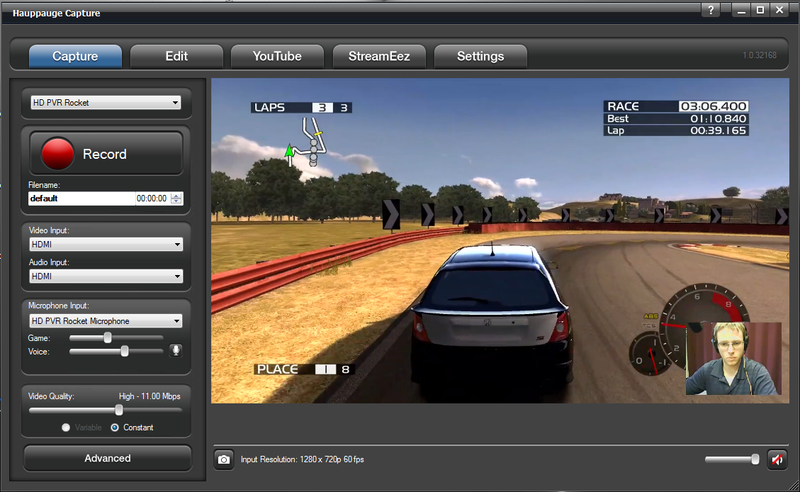 In standalone mode, if the time stamps on the recordings on the flash drive are not correct, download and install the Hauppauge Capture application from this link: http://www.hauppauge.com/capture/. After installation, open Hauppauge Capture and make sure the Rocket is listed as the source. The time and date on your Rocket recordings will now match the time and date on your PC. No audio in your Rocket recordings? Fix it now!